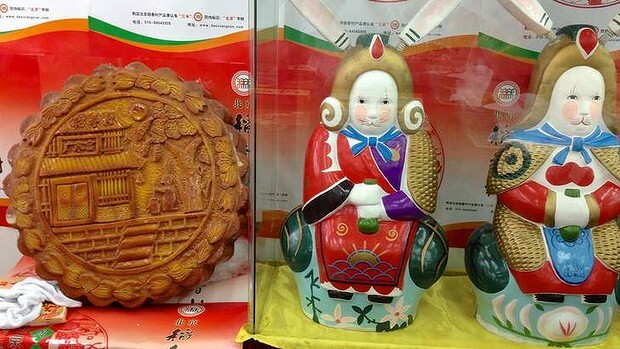 Home » Festivals » China crackdown Mooncake "Gift"
The Mid-Autumn Festival or also known as Moon Cake Festival is one of the crucial celebration among Chinese communities. It is celebrated on the 15th day of 8th lunar month which is observed as on September 19, 2013. In previous years, the Chinese government and officers were bribed and lavished with branded items, jewelleries, cash liquor etc. which were hidden together with mooncakes give-out. Since after many incident cases aroused where officers were taking bribes/corruption, severe punishment will be taken if they are caught receiving bribes. Thus, the Chinese government and employees are avoiding to accept any forms of gifts for this year's mid-autumn festival. BEIJING (Reuters) - Gold-encrusted mooncakes stuffed with shark's fin are out of favour ahead of this week's mid-autumn festival in China after a crackdown on corruption killed off demand for such lavish pastries - long used as a way to bribe officials. With more calories than a Big Mac, mooncakes are given as gifts to family, friends and employees during China's Mid-Autumn Festival, which falls on September 19 this year. In recent years lavish varieties have popped up with jewellery-box style packaging, allowing cash, liquor or other goodies to be hidden in with the pastries. But an anti-corruption drive by President Xi Jinping has left the pricier treats languishing on the shelves, shopkeepers and analysts said, even as sales of more traditional lotus seed- and sesame paste-stuffed varieties were unhurt. "What has taken a deep dive is the high-end mooncakes more typically associated with corruption," said Shaun Rein, managing director of China Market Research Group. The gilded age of mooncakes was last year, when pastries stuffed with gold flakes, shark's fin and abalone made headlines. In rural Shanxi province, gold-filled variations sold for more than $1,000, local newspapers reported. Mid-sized China Merchants Bank Co Ltd marketed mooncakes made of solid gold and silver, state media said. A spokesperson at the bank's headquarters in Shenzhen could not be reached for comment but a manager at a branch in Beijing said she was not aware of any gold or silver cakes being sold this year. "It's normal to exchange gifts but too much reciprocity has become a form of extravagance," the People's Daily, mouthpiece of the ruling Communist Party, wrote in a commentary last month about the holiday. Excesses in past years had even prompted the government to ask officials and workers to pay income tax on mooncakes they received. "(This year) some government officials are less willing to accept a lavish or high-priced box of mooncakes, or in some cases, any mooncakes at all," said Eric Carlson, a Beijing-based partner at law firm Covington & Burling and an anti-corruption expert. Carlson said he had heard that some government agencies had told mailroom staff to filter out mooncake packages before delivery. The Communist Party's Central Commission for Discipline Inspection on Friday urged people to report cases of party members and government or state-owned enterprise officials spending public funds on gifts, banquets, travel and luxury goods during the Mid-Autumn Festival and the National Day holiday, which falls in early October. While China regularly announces anti-corruption campaigns, this one appears to have more bite than usual, although experts say only deep and difficult political reforms will make a real difference. 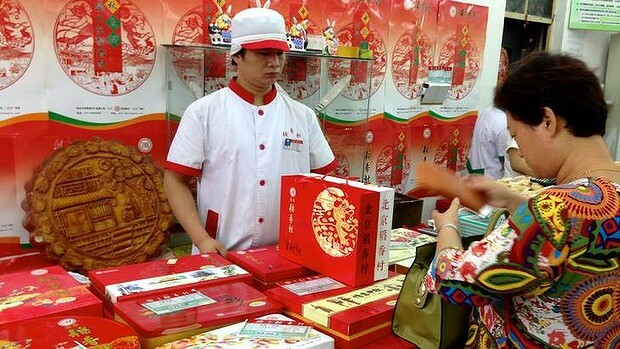 "Political developments this year have had a definite impact on sales of high-end mooncakes," said Qian Qiliang, who has run a state-owned mooncake factory in Shanghai for two decades, adding sales had fallen 20 percent. Qian said he adjusted his production goals when he heard about the crackdown, predicting demand for pricier pastries would fall. Demand for lower-cost cakes with traditional fillings had risen by 20 percent, he said. Luxury hotels said the most expensive mooncake sets they sell, often in lacquered or decorated boxes, were not doing well. A spokeswoman for China World Hotel, owned by Shangri-La Group , declined to discuss sales because "frankly it's not a very positive topic". She declined to give her name. The Sofitel Wanda Hotel in Beijing, owned by Dalian Wanda Group Co Ltd and operated by Accor , said corporate customers were more likely to go for mid-range packages. "The atmosphere is more difficult and tough for selling mooncakes this year," said Cedric Besler, the hotel's manager. Rein said private companies were also cutting back on conspicuous mooncake consumption because they did not want to be seen as being ostentatious. "Every day there's another executive being hauled off and put in jail," he said. "There's a fear among both officials and businessmen right now. No one wants to be caught giving bribes." The crackdown on luxury mooncakes has also hurt a blackmarket for mooncake coupons. For convenience, workplaces often give employees coupons for expensive mooncakes in lieu of the cakes themselves. Those who dislike mooncakes sometimes sell the coupons to traders who hang out outside hotels and shopping malls. Those who do like mooncakes buy coupons at a discount from traders. Manufacturers sometimes also buy back coupons from traders in large batches. "Most mooncakes are God awful," Rein said. "People are scared of eating them because everyone knows how bad they are, and they could be years old if people keep re-gifting them." A Shanghai based-coupon trader surnamed Xiong, who has been working the sidewalk opposite a Shanghai branch of the Hang Fa Lau dessert shop for a decade, said the windfall he counts on had declined from up to 2,000 yuan a day to just a few hundred yuan. "There's nothing I can do," said Xiong, who spends the rest of the year hawking cigarettes. Another trader, surnamed Pan, said profits were down 60 percent from a year earlier. "When Xi says something like this, the people he hurts are the ordinary folk," Xiong said. Mooncakes on display at bakery for mid-autumn festival. In China Town, Singapore. HONG KONG -- Mooncakes – the hockey-puck-sized pastries Chinese give each other every year for the mid-autumn festival – were always more about tradition than delicacy: Some people don't even like them. But in recent years, as corruption eroded confidence in government, the unscrupulous made the dense, calorific cakes even sweeter. Luxurious boxes of mooncakes can contain far more than the traditional filling of lotus seed or red bean paste and a salted egg yolk symbolizing the moon. Some have rare ingredients such as abalone, shark fins or bird's nest. Gift sets can even include items such as gold coins, top-notch wines, mobile phones and diamond rings. Now, in an effort to combat bribery and extravagant spending, China's Communist Party leadership has singled out the tradition in its austerity drive. It has banned the use of public money to buy the pastries and associated gifts, dampening demand just as the market hits its usual peak ahead of the Sept. 19 festival. "Decadent styles have polluted our festival culture in recent years with the sending of increasingly extravagant gifts such as mooncakes and hairy crabs, drifting further away from our frugal virtues," Vice Premier Wang Qishan, head of the party's internal watchdog panel, said last week, according to state media. 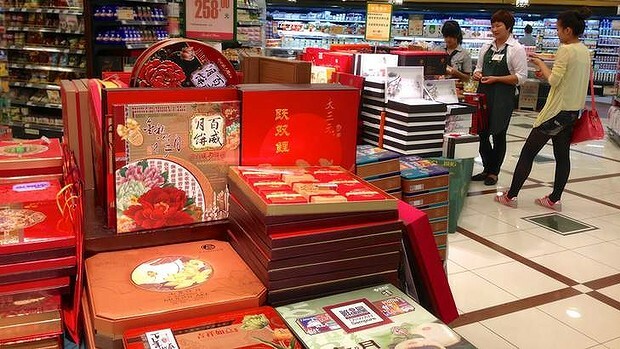 Mooncakes – or, more often, mooncake coupons redeemable at stores – have been so common as gifts from offices and state-owned companies to employees that a secondhand market has emerged for the vouchers among scalpers in Chinese cities such as Shanghai. But such commerce has dwindled under President Xi Jinping's austerity drive. "Business is not as good as last year. It's dropped about 60 percent, mainly due to fewer official receptions," said Zhang, a trader who gave only his surname as he hustled for business in a subterranean walkway near a busy Shanghai shopping street. Xi's effort already has crimped income at posh restaurants after new party rules were brought in at the start of the year curbing spending on food and drink. It's part of his effort to gain support in a country where corruption and a widening wealth gap have become sources of public discontent. Some 280,000 tons of mooncakes worth 16 billion yuan ($2.6 billion) were sold in China last year, according to the China Association of Bakery and Confectionery Industry. But given the frugality campaign, "we may see a big drop in this year's sales figures," said an official surnamed Yu. Mooncakes, typically sold in boxes of four, retail at supermarkets for $20 to $50. But offerings have become increasingly lavish to appeal to the growing middle class in China, where there is a strong culture of gift-giving aimed at showing off status and building up goodwill. Decadent varieties are stoking concern that they're being given in exchange for favors or used for other corrupt purposes, said Hu Xingdou, an economics professor at the Beijing Institute of Technology. "We can see that gift-giving has been morally degenerated into a dirty means of bribery," Hu said. Banks and jewelers have even gotten in on the act. In Beijing, the China Gold Coin Co. is offering solid-gold mooncake-shaped ornaments for as much as 19,250 yuan ($3,150). "Some companies and unsavory businessmen take it up a notch" by giving bribes in the form of mooncakes packaged in gold, diamonds or other jewelry worth tens of thousands of dollars, said Shaun Rein, managing director of China Market Research Group in Shanghai. Variations include stuffing cash in the packages or including coupons to buy other things, Rein said. He added that Xi's crackdown may be forcing people to opt for more low-key gifts like herbal medicine. Mooncakes are also involved in a peculiar form of tax evasion at Chinese offices, which give them to employees as gifts. Instead of an actual mooncake, it's common for companies to buy coupons at a discount from manufacturers to be redeemed at shops. That eliminates the cost and effort of transporting large amounts of food that could spoil in the late summer heat in fancy packaging that could be damaged. But many workers don't actually redeem them, and instead sell them for cash to coupon scalpers like Mr. Zhang for extra income. "The companies are happy because it's a business tax write-off, the employees are happy because they get money and they don't have to pay income tax," said Rein. "If it's a state-owned enterprise, it's the laobaixing – the everyday Chinese – who are bearing the brunt of the costs for these illicit incomes." Zhang was one of 15 scalpers who set up shop with a stool and sign offering to "recycle" mooncake coupons in the pedestrian passageway near Shanghai's East Nanjing Road. The scalpers were buying coupons for half their face value and selling them for 75 percent. Zhang, who takes three weeks off his job as a hotel lobby manager every year to trade mooncake coupons, complained that the frugality drive had hurt his business. He said that when he finds a seller, he usually gets just one or two coupons. "It was often eight or 10 coupons last year." Researcher Fu Ting in Shanghai and video producer Zhang Weiqun in Beijing contributed to this report. Beijing: President Xi Jinping's white-knuckled anti-corruption crackdown has engulfed another unsuspecting victim: this time the humble mooncake, a mainstay of China's annual mid-autumn festival. Elegantly gift-wrapped boxes of the dense, calorific pastries have long been exchanged among families and friends for the traditional festival, which falls on Thursday this year. The treats have become notorious for over-the-top extravagance and are a sickly-sweet vehicle for casual bribery. But this year, lavish varieties stuffed with abalone and shark's fin and topped with gold flakes - which used to sell for more than $1000 - are now scarcely seen. Gone too are the gift boxes packaged with expensive liquor, or even gold watches, for those well-wishers particularly keen to make a good impression. The new leadership has identified reining in overt graft and waste of public funds as a key way to win back the hearts and minds of a general public, who are increasingly disillusioned with endemic corruption and a widening gulf in income equality. “Decadent styles have polluted our festival culture in recent years with the sending of increasingly extravagant gifts such as mooncakes … drifting further away from our frugal virtues,” Vice-Premier Wang Qishan, the head of the party's corruption-busting disciplinary committee, said last week. Having already banned government officials from spending public funds on lavish banquets, expensive wine and luxury cars, the President has labelled the mid-autumn festival, which runs into the China's long national day holiday in October, an “important test” of party officials' behaviour. A telephone hotline has also been set up for members of the public to report any suspected misuse of public funds during the holiday period. A saleswoman at one busy supermarket said authorities had issued restrictions on gift-box designs to ensure they were less ostentatious than previous years. Like most holidays, the mid-autumn festival has become rampantly commercialised, with little emphasis on the festival's origins: a romantic fable of a goddess who attained immortality but lived on the moon to be near her mortal husband. More than 280,000 tonnes of mooncakes worth 16 billion yuan ($2.8 billion) were sold in China last year. But this year the China Association of Bakery and Confectionery is tipping a sharp drop in sales. “None of us who sell mooncakes will make any money this year,” Sun Lanyu, a vendor in Beijing's business district, said.